To support its vision and ambitious goals, Movember Foundation is committed to building a more sustainable fundraising program, ensuring the impact of the organisation is long term. The Movember Foundation seeks a new Director of Major Gifts who, based in their Melbourne Office, will work closely with fundraising colleagues and other team members across the organisation to build out a successful global major gift fundraising program to support Movember Foundation’s mission. The Director will manage a group of assigned, qualified donors capable of making annual gifts of $25K or more, with a view to developing and further building on a major donor pipeline. To be successful in this role you will demonstrate a track record in the cultivation and solicitation of major gifts from high net-worth individuals and trusts/foundations, ideally at the 6 figure level. Superior relationship-building and communication skills will ensure your ability to liaise with a variety of stakeholders at all levels. Fundamental to success will be a demonstrated commitment to the Movember values and passion for the cause, with an understanding of and ability to represent the Movember Foundation brand and image at all times. 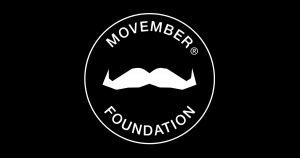 Movember Foundation has a vision: to have an everlasting impact on the face of men’s health. Please quote in application: Director of Major Gifts via Pro Bono Australia.